Buying a property is generally regarded as the largest single investment that most people make. On buying a car, would you hand over your money without seeing an MOT. So why take a bigger risk on your future home? 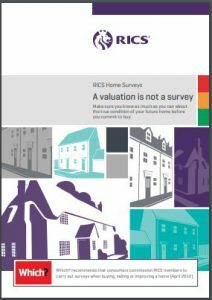 RICS Home Surveys are a ‘health check’ for buildings and can save you money. If the survey goes well, you will have re-assurance and peace of mind. At worst, if there are serious problems, you can re-negotiate the price, to reflect the cost of repairs. Or you may even decide to withdraw. Affordable and concise, this report format is highly suitable for houses, flats and bungalows of conventional construction up to 150 years old, and apparently in reasonable condition. The construction is described briefly, and the defects are grouped according to how serious or urgent they are. Items for further investigation, and risks to people or the building, are noted. However the report does not describe remedial work or give recommendations. 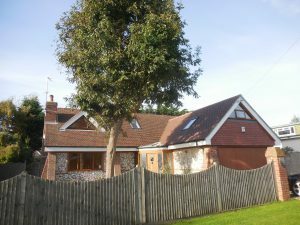 Covers a similar range of properties, is only slightly more expensive, and can also include a valuation and reinstatement cost to help avoid under or over-insuring. It is also a summary report. 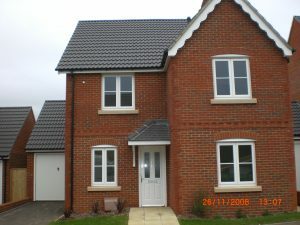 Designed to highlight defects and problems which are urgent or major and thus have an effect on the value of the property. The main aim is to help you make an informed judgment on whether or not to proceed with the purchase, by alerting you to any serious defects and to assess whether or not the property is a reasonable purchase, at the agreed price. 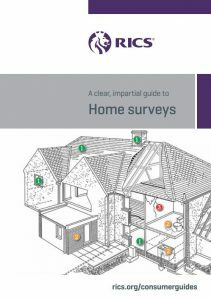 The Building Survey is more comprehensive and contains technical information on construction and the range of defects seen. 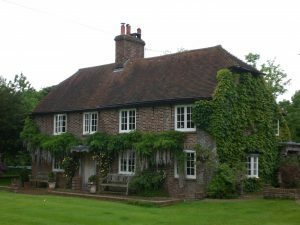 It is best for Listed Buildings and properties that are older, of unusual construction, or properties that have been substantially altered or which you plan to extend or alter. You pay more for this report due to the detail and time that is required, and you get recommendations for dealing with problems noted (This service is not typically suitable for flats). If you have specific worries or concerns about the property, talk them through with your Surveyor first. We will be happy help you decide on which type of survey is right for you, and in the case of a Building Survey, the report format and content can be adapted to your needs. Just wanted to thank you both for the efficient process and great quality report – I will recommend you to my various friends who are currently house hunting too! I just wanted to thank you for a great service you have provided. Highly recommended and wouldn’t hesitate to use you again. We would like to thank you and the team for the great and very efficient service. We needed our house valuation completed urgently and you did just that. Definitely exceeded our expectations. Thanks for all the hard work. I just wanted to thank you and your company for acting so quickly for us and we are very impressed with the way in which we have been communicated with and kept informed of what is going on and the professional and friendly way you do business. Thanks again and we will not hesitate to recommend you to our friends. A note to say many thanks to you for your excellent service and report. I have written personally to Mr Gray to thank him for the speed and thoroughness of his report, and have been singing your firm’s praises ever since. Thank you for being so reliable and helpful with my matters that you have been dealing with. Please also thank Melissa too, for her attention to detail and kind assistance. We were very pleased to read John’s report. Please would you kindly pass on our thanks to him for all his help and the very informative and useful report. Many thanks to Housemartins for the firm’s kind attention. Thank you for doing such a thorough job and taking the time out to discuss your findings with me. Many thanks and appreciate all your efforts and time with this matter. I would have no issues with recommending both Lee and Housemartins to friends, work colleagues and family who may ever require a survey.